This happiness quiz will tell you how happy you are, and it will also help you to be happier. You have a lot of choices when it comes to being happy, and as you read the questions in this short quiz, you'll learn more about what those choices are. And...you'll get a free bonus gift when you finish! It's fun to take tests, and it's fun to get encouraging and helpful results, which is exactly what you'll find here. You cannot fail this quiz, it is only designed to help you know where you are and what to do to make things even better. Happiness is your natural way of being, but you may have developed some habits during your lifetime that interfere with being as happy as you want to be. You can stop at any point. You will get some helpful advice in your results. 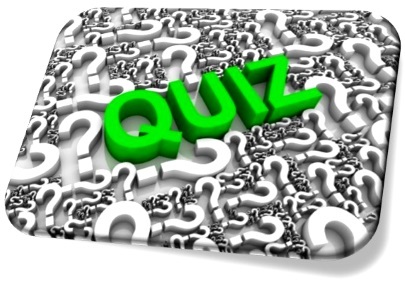 You will receive a free bonus gift in your results when you complete your quiz. The Happy Right Now happiness quiz is designed to give you an idea of how you're doing at staying happy on an every day basis. Our more advanced quiz will help you assess how you're doing in terms of long-term, lasting happiness. Very Good At Being Happy -- This is the top rating, indicating that you have some excellent skills and habits that will help you stay happy most of the time. You'll also see an overview of your answers, and some tips on how you can get even better at getting and staying happy. Happy A Lot Of The Time -- This result shows that you have some pretty good behavior patterns for being happy, but you're getting in your own way a little bit. With these results, you'll receive some recommendations and of course, the free gift that comes with all of the results. Moderately Happy On A Daily Basis -- True happiness is just a little out of your reach, but you definitely are having some fun and feeling good some of the time. You've got some fairly strong thought and behavior patterns that interfere with your mental and emotional well being. Occasionally Happy -- There are some things that make you happy, but they come from outside you, and your happiness does not seem to be under your control. You will benefit greatly from following the recommendations you'll receive, and for utilizing the other great resources on this site. Unhappy Too Much Of The Time -- Your life does not seem to be going your way, if you get these results. This doesn't mean you're a bad person or anything like that, but it definitely means the world is not getting the benefit of your smiling face nearly enough. But, happiness is within your reach! This happiness quiz is all for you, to help you have more of what you want in your life. Remember, being a Goodfinder and creating happiness on purpose will help you with your health, your mental clarity and your personal and professional relationships. Deciding to increase your happiness may be the most important decision you'll ever make. Do it now! How To Find Happiness In Everyday Life -- You want happiness all of the time, right? Here's where you'll find the tips and techniques for creating daily, ongoing happiness habits. The Secret Of Happiness Is Positive Time Travel -- Your brilliant mind is always scanning your past, present and future, and this page will show you how to make that whole time travel experience work for you instead of against you. Find Happiness In Six Simple Steps --When you notice the good things, from the little ones to the big ones, and shift your mind from problems to solutions, you will definitely find happiness every day. Your Shortcut To Happiness -- Learn a simple three step process for creating the kind of day you want, changing your behavior, and getting the outcomes you so greatly desire. Set your intentions, and you will succeed. You Can Find True Happiness -- Discover and create true happiness when you learn to milk, savor and stretch your positive emotions and images from your past, in your present, and in your future.